Considering the number of handsets being released at any given time in the marketplace that run on Google’s Android operating system (OS), it seems to be a lock that it will become the leading platform this year based strictly on volume. If a forecast released today from International Data Corp. (IDC) is even close to being correct, in four short years this will grow to an even larger lead that will bring it close to controlling nearly half of the market. According to the predictions released by IDC, the landscape of the smartphone marketplace will be considerably different come 2015. The drop-off in Symbian is to be expected as Nokia has struck a deal with Microsoft to use its Windows Phone 7 platform going forward, which, in turn, also explains the dramatic increase in that OS’s share of the market. A lot of this information is based off of the fact that it appears manufacturers will sell 49.2% more smartphones this year than they did last year, increasing to more than 450 million handsets in 2011 compared to the 303.4 million units shipped in 2010. Beyond that, this is a guessing game, and the lack of any sort of methodology in IDC’s forecast leaves me a little puzzled. Sure, these numbers are probably not the far off base, but some idea of how they arrived at them would go a long way in lending them some extra credibility. Numbers are always fun to look at, but if you don’t know where they come from, they can feel a bit empty. Also, things change. As Engadget pointed out, in Jan. 2010, IDC predicted Symbian would continue to rule the market through 2013. Oops. 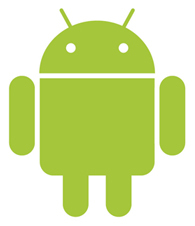 All that being said, yes, it does appear Android is about to explode and take over the world. If these numbers hold true, we’ll probably also see a large shift in where development dollars go, shifting away from the current concentration of applications coming first to iOS and then later to Android. If Google’s OS does become the number one platform, you be pretty sure the exact opposite will begin to happen. Add in the projected growth of Windows Phone 7, and the potential for iOS to be shifted even more becomes a distinct possibility. What do you think? Are these projections pretty spot on in your opinion?